Should we accept a bid to the CIT or CBI if offered? IF they decide not to play in one of them-- I won't be upset. There are benefits either way but putting on the old wrestling head gear, the saying was always "I would rather have played and lost than to have never played at all". I would not think less of our guys if they opted to take a break. It has been a long season-- and in my mind, what the team wants to do is what matters for this decision. The money is not a factor. This is a basketball decision. There is a $50,000 entry fee. Anyone know if gate sales help to recover any of that cost? I say bite the bullet and accept a bid if offered. The post season experience will help us going forward. BUT PLEASE NO CBI Banner in the Arena, (might be acceptable if we win the tournament) The NIT banners are embarrassing. Really? Embarrassed by the NIT banners hanging in the Sun Dome...errr... YC? Couldn't disagree with you more. The way you get those taken down is to earn NCAA and conference banners to push them to the side. That is our history. I can only imagine what I would feel like being in Charlie Bradley's shoes seeing them remove those early banners-- or any of the guys who played on the other teams. Why stuff like this bothers anyone is mind boggling to me. Empty space is better? Couldn't agree more, Mike G !! 1. 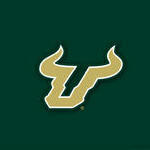 USF men's bball makes money! --I can't remember the link, but the program brings in the bread. So, the $50K fee is not a problem. 2. The AD basically said in the radio interview that we are going to play a postseason tourney if there's one, even if it's not the NIT. As for the women's program, they would only consider the NIT and nothing less. The men's program needs the momentum, he said. 3. I want postseason bball! In equals exactly out. I smell fuzzy math. And some of the press conference videos I linked coach Gregory made statements that sound like USF would accept a bid from the CBI. The CIT is for smaller programs like Northern Colorado etc. So if no invite comes from the CBI the season is over. I don't see the reason. They've limped their way to the finish line. Time to get ready for next year. Agree. They look worn out. I think it would do more damage than help at this point. Had we beat SMU and won a couple tourney rounds than maybe but I don't see a reason to spend money to put an obviously spent team out on the court again this season. Let them rest, heal, learn to shoot free throws and make more noise next season.